It's true that I love my brocade pant. It has been a staple for me in the spring, summer, and now fall. I love it so so so much that I feel like I will have it forever! I received such a great response about the pant in the last post that I said I must search for some jaw dropping stunners and share them with you. @Eatstyleplay this post is dedicated to you! 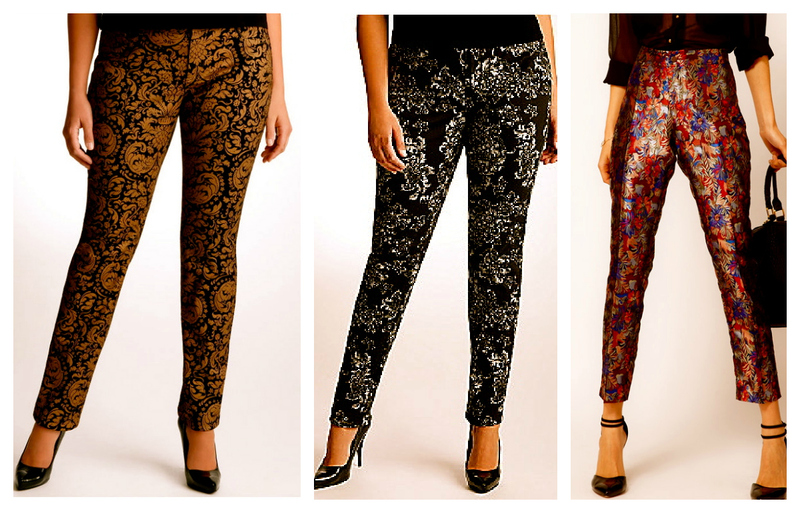 I hope you find something to your liking below and finally get your own staple brocade pant. Look 1 is my absolute favorite for it's touch of bronzy golden flavor. Look 2 gives a classic look that gives style that's not over the top but still makes a statement. Look 3 is so playful with it's colors. I love that! Look 4 is an absolute stunner with this gorgeous lace overlay! Can we say fabulous?? Look 6 is a keeper for seasons to come! As an added touch, I included some great printed pants that's just amazing in design and style! Look 7 gives pizazz and shimmer! Look 8 gives loads of flavor with touches of cobalt blue and the intricacy of the design is perfection! Look 9 Stunner Stunner Stunner. Really love this look! Did you find your perfect pair? Let me know! UPDATE: Found other great pairs (!!!) by Forever21 and this stunner by Asos! 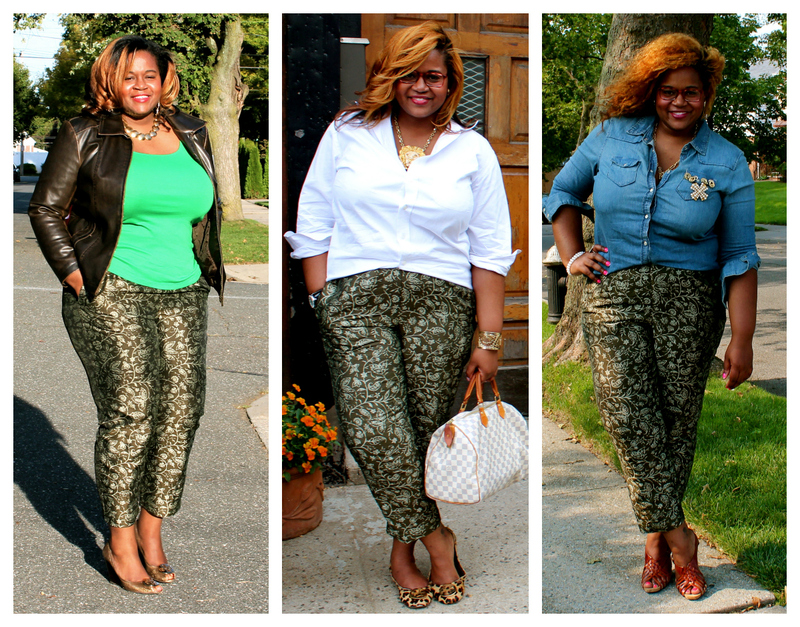 I LOVE the way you styled these pants!! Now I must run out and grab a pair! I'm wondering how you would style these pants when it is really cold- would you wear stockings underneath? Thank you for this post! I'm loving the brocade phase. I have a skirt that I thrifted but I've been looking for pants. And, of course, I love your brocade pants, too. Yes, Honey! I just ordered mine! Thanks so much for this post WOMAN! lolol! I'm def going to venture out and try some of these, my favorite by far are the red ones on Asos! Thanks Ladies! Aren't they just fab?? I love them all! 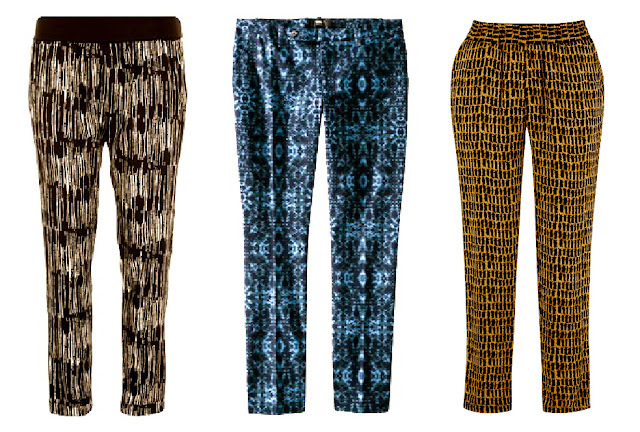 I love the pants in look 3! Super cute. Those brocade pants look wonderful on you. I love how you styled them & cant wait to see what you wear next with them. I hope to get me a pair soon! Those pants are great! I've picked up a couple of brocade pants lately and can't wait to style them. Thanks for the inspiration!